So we buy clothing based on price and price alone? That’s according to Julia Palmer in an analysis of the last quarter’s success of Boohoo.com . We’re basing our buying decisions on price. Of course, price is an influencer. There are boundaries within which we shop. But, if all we have to do is recognise the cheapest wins, it gives the fashion marketer very little wiggle room in which to do their job. I prefer Martin Lindstrom’s perspective. He argues that ‘the fashion industry has unknowingly lost one of its strongest assets: that sense of anticipation‘. In a world supposedly consumed by fast fashion, isn’t it your role as a marketer to put the brakes on fashion. To slow down the buying process to enable your customer to make a deeper, more considered choice? To go deeper with your product marketing and give your customer a truer understanding of the value of your brand and your product? The natural habits formed by today’s marketer are to present immediacy. Buy now. Same day dispatch. Next day delivery. You could be wearing your new clothes tomorrow! It’s a message that appears to encompass the entire fashion industry. Is it one that really resonates with your customer when they’re exploring their options and identifying their wants? Outside the fast fashion world is a customer that makes their purchase based upon a different set of criteria. Sometimes people are prepared to wait. As Lindstrom advocates, anticipation is a marketing asset. As a marketer you give your customer a reason to wait. You create desire. Waiting lists exist for a reason. This returns us to the bigger problem relating to immediacy. 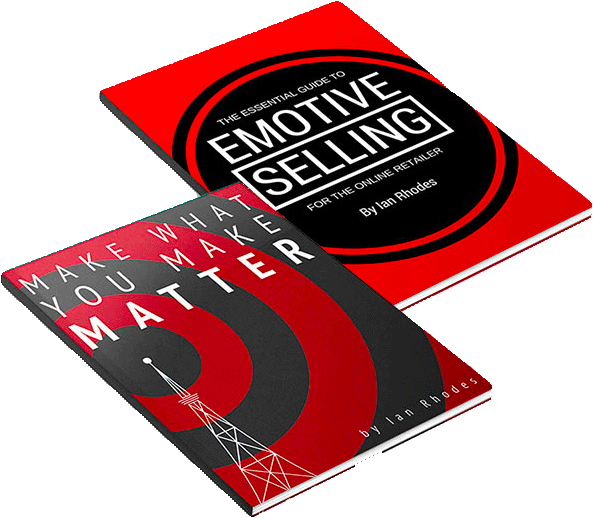 Not necessarily due to the demands of your customer, but the actions of you, the marketer. When you have to get something done to achieve this month’s targets? You look to the simplest, tried and trusted, sales-target smasher. The discount. That 40% sale with the promise of next day delivery? It’s a winner each and every time, correct? The revenue game becomes a sales volume game. More people through the door, more people buying. And they’re buying based on price and price alone. Hence the ridiculously high return rates you suffer. Hence the poor reviews when your product doesn’t match expectation. When we teach our customers to ‘act quick’ we’re removing their own need to ‘act thoughtfully’. What if we sold based on anticipation? What if we created campaigns through email and social media talking about what’s ahead, the next launch? There’s a lot to be said for planning ahead. If fast fashion is breaking the clothing industry, it’s your responsibility to brake the fashion industry. To slow things down. And that requires better marketing. More thoughtful planning. To achieve buy-in when our primary goal is to beat last month’s figures, or achieve the forecast endorsed by the investors, is a tough ask. It requires you to demonstrate how your new strategy will grow the business, not create unnecessary cashflow issues. From my own conversations with fashion marketers, it’s the gap between ‘short term’ and ‘long term’ that we need to bridge. And that requires a transition rather than an immediate strategic switch. Again, our objective here is to make the shift from heavy discounting and the over-reliance on price as our primary conversion influencer. To boost profitable sales that, in turn, drive revenue growth. To make the switch from being 40% off to 100% on. Fashion works in seasons. Let’s look to your next season of clothing. What can you accomplish now to be able to warm your customers to what’s ahead and build that sense of anticipation? why do these new items exist? when will they be worn? what will they help your customer achieve? how can we grant access to our best customers before anybody else? Now you’re starting to plan. Now you’re looking ahead. Hell, you might just be able to get that promo video sanctioned because you’re taking your brand in a fresh new direction. I’ll go back to my main point, create a sense of anticipation. No talk of immediate dispatch. No call to actions to inspire ‘immediate reward’. We’re planning here for the long haul, and that’s a good place to be. Scarcity is a key ally to anticipation in the marketer’s persuasion toolbox. As you begin to open up products for pre-order you’ll become aware that the supply will become short. Now we begin to trigger a different form of immediacy. If you need, then you need to act now. Make your customer as comfortable as they can possibly get in order to sell the ‘pre-order’ Be clear as to when payment is made and when you anticipate their goods to be dispatched. A pre-order product strategy can pay enormous dividends across your fashion brand. I know the task is difficult when you have rails and warehouses full of stock that has proven difficult to sell. When it’s not just the odd sizes, but the core range that hasn’t shifted in the manner you’d hoped or management had expected. Something has to be done and discounting is the easiest, most viable choice. Somehow you have to break that cycle. That requires planning. Careful planning. I see too many fashion marketers neck deep in fine tweaks and adjustments. The Google Ads CPC raised by fractions, the Facebook lookalike audiences adjusted from 3 – 4%. You’re busy. And then there’s the report request to explain why acquisition costs are ‘through the roof’. Strategic decisions are placed on the backburner. There must come a time when you say enough is enough to the discounting habit. To plan for a different way of selling. A smarter way of selling. We shouldn’t all be taken in by the marketing antics of the fast fashion brands. They’re catering for a different audience. A different business model. These are the folks where price matters. A volume game for customers. A volume game for retailers and makers. Discounting is and always has been a dangerous game. The perils of eroded trust where your consumer’s first thought is ‘will this be even cheaper next week?’ isn’t a territory you want to find your brand in. There is, of course, a time and place for discounting. It’s naive to think otherwise. Loyalty is often rewarded through savings. However, that’s a different form of price incentive. One that can build trust through connection. Consumers, in general, are weary of pricing and the tactics often employed to hook them into contracts . Mortgages. Phone contracts. Petrol prices at the service station. Why not reward loyalty rather than discount heavy to drive acquisition? Is acquisition easier than retention? The heavier emphasis marketers place on the former would have you think so. Just consider the longer term impact of yet another discounting campaign. We don’t need another ‘end of January sales’. We need a ‘welcome to our Spring collection’ plan in place. Deeper. Better. More creative marketing.